In order to be reviewed for Shopping Actions eligibility, you must complete the Business Information, Shipping and Tax sections in your Merchant Center. 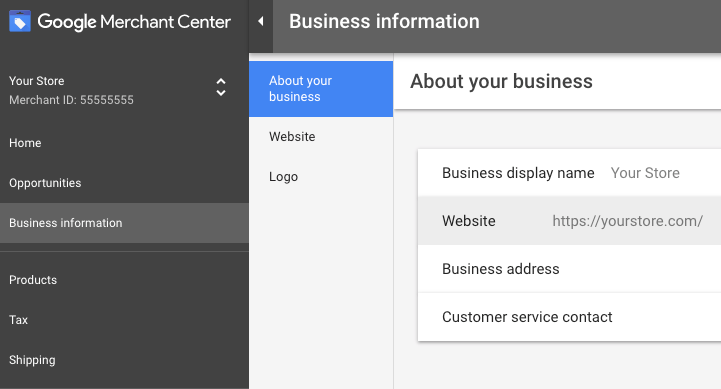 Click Business Information and complete all sections by following this official guide from Google. Click Tax and complete your nexus settings by following this official guide from Google. Click Shipping and complete the section by following this official guide from Google.